Stylishly designed well-furnished rooms accompanied by a banquet hall and a conference room. 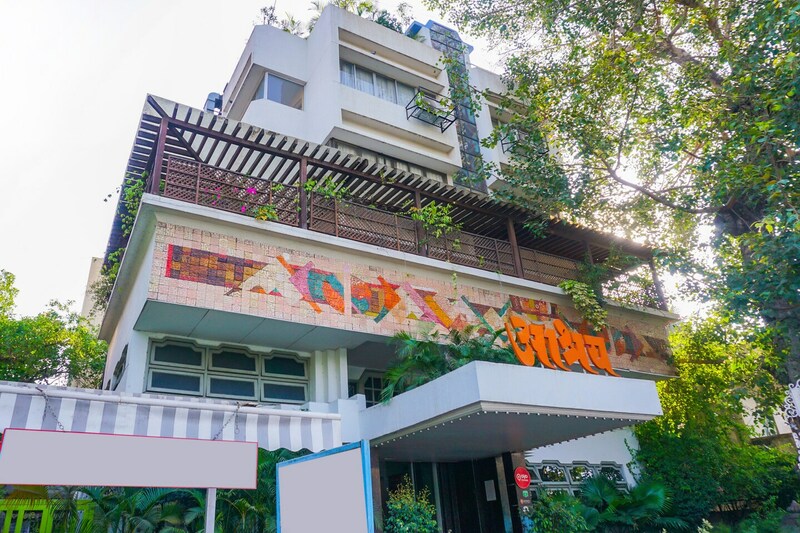 Situated on Parvati Road, Hotel Ashray is a charming place with beautiful architecture and a fine interior decor. The bedrooms at the hotel have light coloured walls and dark wood furnishings with one of the walls painted with an image of a tree and flying birds, thereby making the rooms appear comfortable and warm. The rooms also have large windows that let ample sunlight stream in, thereby brightening up the place. The hotel has a conference room, a banquet hall, a bar, a seating area and a dining area available for the guests to make use of during their stay. The free Wi-Fi and power backup provided by the hotel to its guests ensures that the guests remain in contact with the rest of the social world. Other amenities offered by the hotel are a geyser, a mini-fridge, a hairdryer, an elevator, a parking facility and a card payment option. Tourist spots such as Parvati, View Point, Raja Bagul Udyan, and Butterfly Park are situated in close proximity to the hotel. There are also lots of restaurants situated close to the hotel.